He has written on a broad range of other public policy topics. His most recent books include Why Government Fails So Often, and How It Can Do Better (2014); and Understanding America: The Institutions and Policies that Shape America and the World (Public Affairs, 2008) (co-edited with James Q. Wilson). Earlier books include Targeting in Social Programs: Avoiding Bad Bets, Removing Bad Apples (Brookings Institution Press, 2006) (with Richard J. Zeckhauser); Meditations of a Militant Moderate: Cool Views on Hot Issues (2006); Immigration Stories (co-editor, 2005); Foundations of Administrative Law (editor, 2d ed., 2004); Diversity in America: Keeping Government at a Safe Distance (Harvard/Belknap, 2003); The Limits of Law: Essays on Democratic Governance (2000); Citizens, Strangers, and In-Betweens: Essays on Immigration and Citizenship (1998); Paths to Inclusion: The Integration of Migrants in the United States and Germany (co-editor, 1998); Suing Government: Citizen Remedies for Official Wrongs (1983); Citizenship Without Consent: Illegal Aliens in the American Policy (with Rogers M. Smith, 1985); Agent Orange on Trial: Mass Toxic Disasters in the Courts (1987); Tort Law and the Public Interest: Competition, Innovation, and Consumer Welfare (editor, 1991); and The Judiciary Committees (1974). His other writing consists of more than 200 articles that have appeared in a wide variety of scholarly, professional, and popular journals. 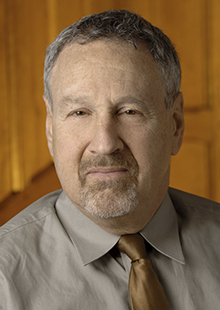 He is a contributing editor to The American Lawyer, has served as an arbitrator, expert witness, and consultant in a variety of disputes, and has testified in dozens of congressional hearings. He was elected to the American Academy of Arts and Sciences in 2015. Earlier, he was awarded a Harvard Graduate Prize Fellowship (1968-70), a Guggenheim Fellowship (1984-85), a residency at Rockefeller Foundation center in Bellagio (2001), and a Fulbright Senior Fellowship to lecture in India (2004). His current major project is a forthcoming book, Five Hard Issues, and How to Think About Them (forthcoming 2017, Princeton U. Press. He regularly teaches spring semesters at Berkeley Law School.